Acupuncture and Acupressure work by stimulating the patient's own chi or life-force energy to accelerate the healing process. Many acupuncturists are discovering that Quantum-Touch is an invaluable addition to their practice. Quantum-Touch is a powerful, yet easy to learn, energy healing modality. The Quantum-Touch techniques teach us how to focus and amplify life-force energy (known as chi in Chinese and prana in Sanskrit) by combining various breathing and body awareness exercises. When you learn to direct the life-force energy, the possibilities are truly extraordinary; our love has more impact than we can imagine. Like Acupuncture, Quantum-Touch works to powerfully amplify the healing potential. "Acupuncture works wonderfully to open the patient's own chi to flow freely which facilitates normal healing. Quantum-Touch however can add an entirely new vibration of energy to that flow which may allow for astonishing healing. It can be thought of like the difference between writing a love letter to yourself, or receiving one from somebody else. There is a magnificent surprise factor in someone else's love/energy that can work miracles." Many of us use acupuncture or acupressure to relax, to relieve pain, or to just balance and harmonize our body, mind and spirit. Acupuncture and acupressure can be used to treat any illness (a blockage or an imbalance), or for prevention (maintaining balance and harmony). Acupuncture works very well in all of these areas. In acupuncture treatment we select specific acupoints based on the symptoms and on the diagnosed root cause. Needles inserted into or pressure placed on these acupoints cause movement of energy. This energy movement causes blood and qi to flow smoothly within the body, breaking down blockages, and causing symptoms to mitigate or disappear and the body to begin the healing of the root cause. This is a simplistic view of how acupuncture and acupressure work but, never the less, accurate. Acupuncture is also very powerful in building and maintaining a strong immune system, and releasing blockages that cause emotional problems. There are many people in our society that could benefit greatly from acupuncture but are afraid of needles, or find the needles painful. Many of these try acupressure, but most just stay away. A key component of the Oriental Medical Model (acupuncture, herbology, nutrition, lifestyle and exercise) is intention. (Actually, intention plays a key role in everything that we do. If your intention is always directed at doing the things that will bring good health, then you will have good health because you are exercising, eating the correct foods, getting the appropriate amount of sleep and rest, and your mind is dwelling on the positive, not the negative.) 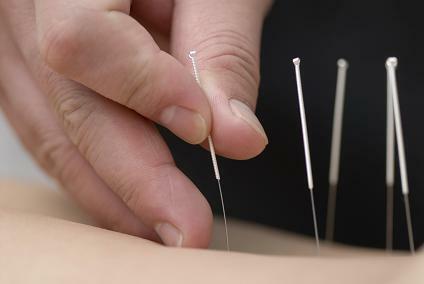 When the Acupuncture Physician selects a specific set of points or a specific herbal formula for treatment he/she has the intention that these points and the formula will be beneficial in resolving the problem. This intention is a very important part of the solution equation. In most states in the US it takes a minimum of four to five years of study to become licensed in Acupuncture and Oriental Medicine. "Quantum Touch has streamlined, simplified and taken my acupuncture practice to a higher level than I could have ever imagined! It empowers the practitioner to work smart, not hard; chi moves effortlessly, patients notice miraculous results in a very short time and I am energized at the end of the day. Having been in practice since 1985, this is the most powerful yet easy to learn modality I've ever learned." Hether M. Churchill, O.M.D., C.A., N.D., L Ac. What does Quantum-Touch have to offer? Quantum-Touch is a method that uses Universal Energy for healing. A Quantum-Touch practitioner uses specific techniques to route universal energy through his/her body into the client. The client s body then uses this energy to heal. What does this energy do? Well, it s like the energy that moves when an acupuncture needle is inserted into an acupoint; it causes energy and blood to move; it causes blockages to breakdown; it causes the body to find balance and harmony; it causes symptoms to mitigate or disappear; it begins the healing of the root cause; it builds the immune system; and, it allows the body to release emotions that cause illness and disease. It may also cause the spontaneous realignment of bones in the body. Intention is also a very key element of Quantum-Touch. The practitioner must focus his/her intention on the energy going to the highest good; that the body will use the energy in a positive manner, to heal. Why should anyone want to learn or experience Quantum-Touch? Because Quantum-Touch is a profound healing technique. We actually know no boundaries for this work. It is that powerful. Quantum-Touch is easy to learn and anyone can do it. You can work on yourself or others, even plants and animals. Why wouldnt you want to learn it or experience it? Why should an Acupuncturist want to learn Quantum-Touch? Because Quantum-Touch is a powerful adjunct to acupuncture, as well as being a powerful stand-alone technique. I find that using Quantum-Touch after I have inserted the needles profoundly enhances the effect of the acupuncture. Not only does the Universal Energy affect the work, but also my intention has an added effect. Together these two techniques offer the best of both worlds for your patient. Try it! You will like it. Surprisingly quick and effective healing. I highly recommend this method. "I personally am elated to have the powerful possibilities of QT for my patients and have seen remarkable results often. QT is a premier healing method accessible to everyone--no license needed-- I like that! My own experience with QT, both giving and receiving, has been completely positive over the last year. Acupuncture deals with energy (Qi or Chi) which flows in pathways throughout the body--every cell is bathed in Qi. Balancing this energy promotes body-mind health and healing. Quantum Touch also deals with energy and, like acupuncture, often acts dramatically to promote health and healing. Acupuncturists, indeed any conscientious health care providers, would likely be interested in QT because learning effective treatments is a never ending process. In fact, anyone who takes responsibility for their health would be pleased to learn such a potent healing modality."